At Mteevan Hire, we know everything there is to know about construction tools for your renovation. That’s why we have written this article on the top 10 essential tools you will need for your renovation. We offer a wide range of equipment at our company from small tools for decorating and cleaning, gardening and landscaping, to heavy tools for breaking and drilling or ground works. Simply make a list of what you need and give us a call. If you have no idea where to start, call us up anyway and our professional team will be on hand to help you. 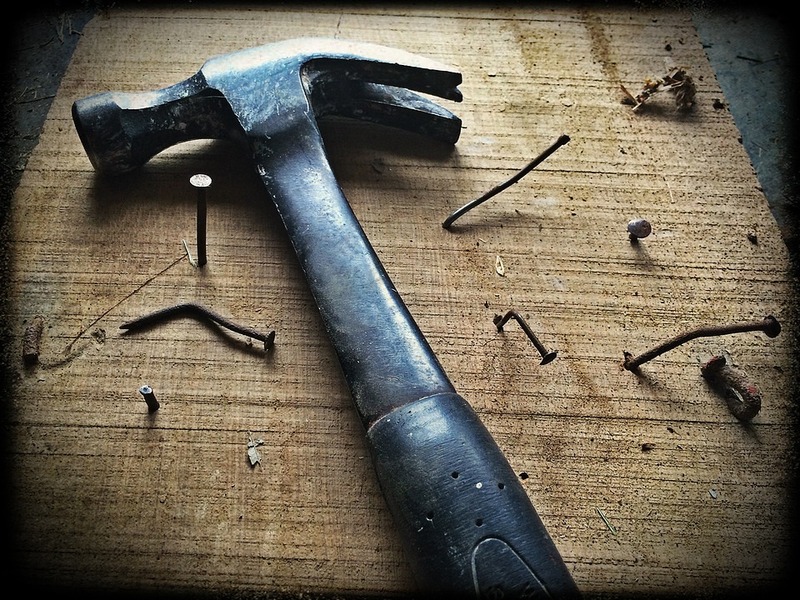 A hammer is one of the most essential tools you will need for your renovation. We would recommend a hammer with a curved claw for pulling nails. Wooden handles on hammers are common and they do look nice but we would recommend a fibreglass handle as this will help to cushion the shock of driving nails. When purchasing a hammer, you want to make sure you have the right one so look for ‘drop forged’ on the hammer head. Drop forging is a more expensive process for marking steel tools, but a tool that has been drop forged rather than case will be stronger and last longer. Who doesn’t want that? A Demolition or Wrecking Bar is a heavy metal device with one end flattened, split to create a ‘V’ for pulling nails from various objects so that it can be used as a lever for prying as well as demolishing. The other end is machined into a chisel shape to be used for prying items apart again with the action of levering. This end can also be driven in by using a hammer on the small flat place on the crook of the bend in the wrecking bar. Wrecking bars come in various sizes and are made out of machined hexagon shaped metal rods which increase their strength and rigidity when being used. Most people know what a ladder is. Ladders can be found in nearly every home and work place in the modern world and they have been used throughout human history. However, ladders are an absolute necessity when working on any renovation project. It is much better to stay safe and reach high areas by using a ladder rather than standing on precariously stacked buckets. Aluminium ladders are generally the most popular as they are light weight, fairly corrosion resistant, low cost, both flame and water resistant and are available in nearly every ladder type from steep stools to extension ladders. Power tools have largely replaced handsaws. However, there is nothing quite like using the old-fashioned hand saw to get a job done. With so many styles and sizes to choose from, you will be spoilt for choice. One of the most popular saw choices is the modern panel saw. We would highly recommend this saw for all of your renovation needs as the crosscut teeth on a modern panel saw cut on both the push and pull strokes, meaning you can get twice the amount done in the half the time! Drill bits are something you cannot do without on your renovation. 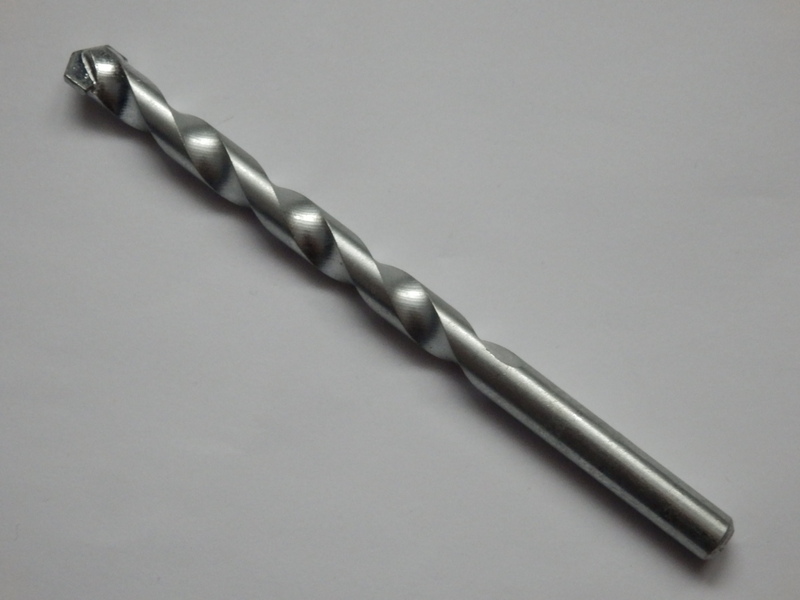 Drill bits are cutting tools that remove the material as the cut holes. Conveniently, drill bits come in many shapes and sizes, allowing them to create different kinds of holes in many different materials. Drill bits are a must-have on your renovation project as their durability and reliability makes them the ideal tool to get the job done. With so many shapes and sizes, you are sure to find a drill bit that perfectly fits your project. Pliers are that tool your dad always had in his shed and you wondered why. But now, completing your own renovation project, you are about to discover just how indispensable this tool really is. Pliers are made especially for firmly holding objects and bending and compressing them. They allow for the force from your hand to be amplified and focused on a small object with accurate precision. There are many kinds of pliers that have been made for various purposes. However, we would recommend that you always have a pair of pliers to hand during the process of your renovation as you never know when you might need them. Screwdrivers are usually classified as flat head or cross-headed. A typical screwdriver will have a handle, a shaft, and a tip that the user inserts into the screw head to turn it. The shaft of a screwdriver is usually made of tough steel to resist bending or twisting. The tip may also be hardened to resist wear. Take care when using your screwdriver to use the correct type as a mismatch may damage the head of the screw or the screwdriver. Ah, the tape measure. An item that is so easily forgotten or left behind and yet so incredibly fundamental to any renovation. 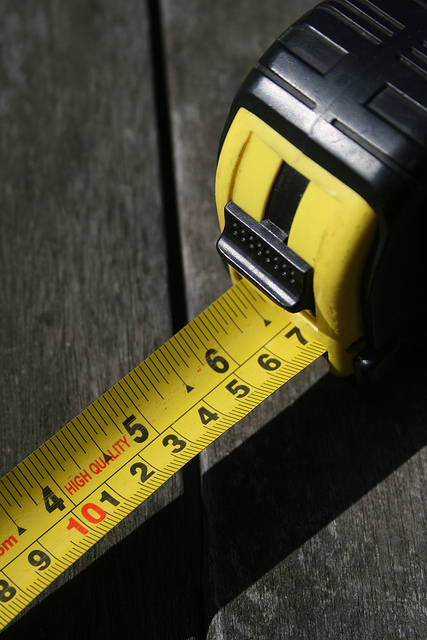 You cannot complete a renovation, or perhaps even make a start, without a tape measure. When it comes to building projects, take it from us, everything must be measured accurately otherwise your project will be a wonky mess. Tape measures are wonderfully efficient. There is a small slot at the end hook of almost every tape measure. That slot is there to grab onto the head of a nail or screw. This way, you can measure things by yourself instead of needing someone to hold one end of the tape measure in place. There are plenty of tips and tricks you can learn about the tape measure but the most important thing you could learn about it is not to forget it! An adjustable wrench is another essential tool for your renovation. This tool provides both grip and strength when trying to pull objects, fastening rotary items such as nuts and bolts or keeping them from turning. The adjustable wrench is ideal because it is, well, adjustable. It has one fixed jaw and one adjustable, allowing for you to work on projects of various sizes. The best adjustable wrench is narrow and will come to a point so that it can work in tight spots where other wrenches are too bulky to fit. A level ensures that your project is kept level. Nobody enjoys finishing a job, wiping their brow and stepping back only to discover everything they have just completed is lopsided. So, avoid this problem by ensuring that you have a level with you on every project. Has this list been helpful to you? If you need any of these tools, give us a ring and let us know, we would be more than happy to help you!